Glass, the new film from director M. Night Shyamalan follows on from the ending of last year’s thriller Split. The ending revealed multiple personality serial Killer Kevin Crumb (James McAvoy) is from the same universe as superhuman David Dunn (Bruce Willis) from Unbreakable, (a previous Shyamalan film). The film unites the director with his cast from both films in a story that brings them all together. Despite having a brilliant cast and the premises of two strong works, Glass is sadly overdone. It starts off well but never fully establishes itself and ends on a shaky final act. The film begins as more young girls have been kidnapped by deranged killer Kevin. With Dunn now using his super strength to bring violent criminals to justice, he eventually crosses paths with “The Hoarde” while looking for the girls. The two battle it out but are both caught by authorities and sent to a mental institution. Once inside, Dr Ellie Staple (Sarah Paulson) has three days to study the pair alongside long-time inmate Elijah Price (Samuel L Jackson). But can two super humans and a genius really be contained? In what Shyamalan has christened his Eastrail 177 trilogy, Glass is the third outing for the ensembled characters. The director is most known for his early works The Sixth Sense, Signs, and The Village. Shyamalan is also known for his twist/shock endings in his films. Glass starts off very strong. Crumb has kidnapped more young girls and is still battling the multiple personalities he inhabits. Meanwhile Dunn has transformed himself into the vigilante known as the Overseer. While out patrolling he passes Crumb and sees a vision of the girls. Dunn pursues him but both are caught by the police, who put them into a mental facility. This brings them together with Elijah and the stage is set. Sadly, this is also where the film loses pace and begins to fall apart. Dr Staple studies all three and tries to convince them of their mental disorders but it all just feels to farfetched. Although the film is building to its finale, you never feel it. It lacks pace and tension despite the efforts of the cast. For those that are used to the troupe Shyamalan endings the film attemps to twist and turn for dramatic effect, but they fall flat. They feel segwayed in, rather than developed plot twists. With unbreakable the director deconstructed the super hero genre in an intelligent, if a little slow, thriller. Despite elements of the previous works being used the premise is messy and servearly under written. The film may fail in terms of pace and narrativ but the cast are as you would expect superb. McAvoy flips between his multiple personalities easily, evoking horror one minute and sympathy the next. His character is just as much a physical performance as well as an emotional one with his superhuman strength being tested here by Dunn. Bruce Willis reprises Dunn as a vililante that has aged and suffered loss. Whilst still being the overseer, he feels himself slowing down and the loss of his wife and his son’s concerns weigh on him. 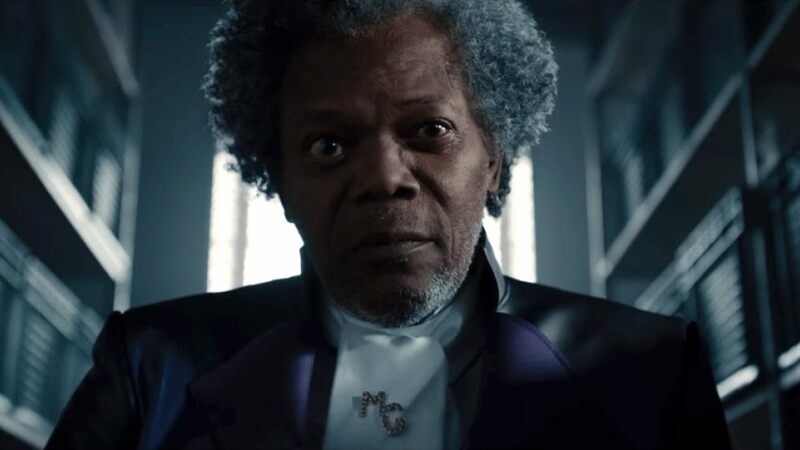 Samuel.L Jackson is just as intringing as he ever was as genius super villain ‘Mr Glass’. He delivers his lines and theories that attempt to deconstruct the superhero genre with his usual flair. He remains ahead of the game and the shocks in the film that do surprise come from him. Although Glass has a strong cast and the potential from its previous outings, the third in the Eastrail 177 trilogy is an overdone, drawn out mess. Glass is out in cinemas now!